Our Front Yard Team, under Beth Hunt's direction, has been very busy this past month taking nominations, placing signs and delivering letters. The size of the team has grown over the past year, and we thank all of you who are involved. To make this event bigger and better, new ideas have been introduced such as a new timeline for the program and ways to use our volunteer time more effectively. This year, 300 nominations were received, which is an increase of 250% from last year! 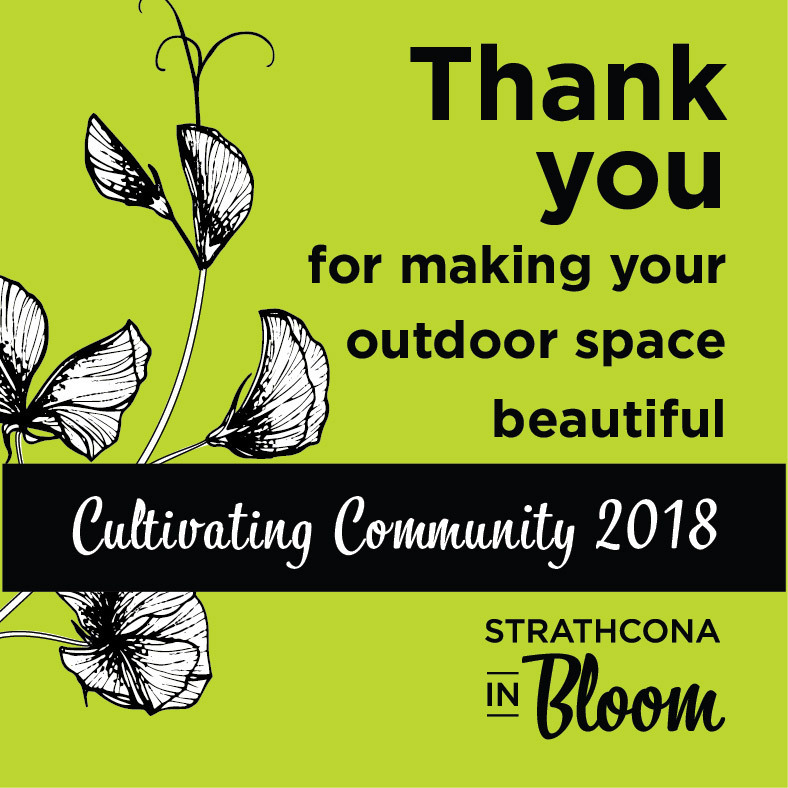 Also, a big thank you to judges Mary Justik, Vice President of the Strathcona Garden Club, Dora Berry of Nature's Elements Sustainable Landscape Design and Christine Albrecht of Estate Gardens Greenhouse for sharing their time and expertise. Great work volunteers! It was a busy week for all, especially for our bed captains, Leesa and Merril. Many of the plants suffered during strong winds. The extra care given to the plants after the winds was appreciated. We have partnered with Strathcona County's Transportation and Agriculture department in their urban agriculture program. This collaboration provides edible plants in public spaces. The five planters south of the spray park in Broadmoor Lake Park contains plants for public use. Our Davidson Creek south bed also contains edibles for the public. Thanks to those who supplied planting week pictures for social media. We would like to have pictures of all our volunteers with their beds before the season ends. If you are ok with your pictures being made public (Facebook, Twitter or the Sherwood Park News), send them to Marlys Cooper at mfcoop@telus.net. If you want them for just our use, send them to Tim Goos at tim.goos@gmail.com Either one can be contacted to take pictures of you. 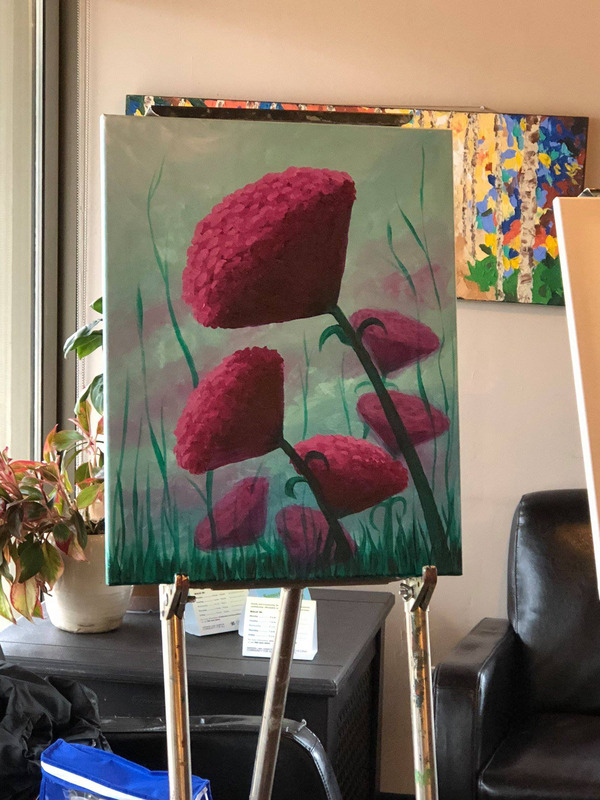 Paint Night was held at Common Ground Café on June 1st. It was a sell out and all participants went home with their floral masterpiece. Over $400 was raised on our behalf. 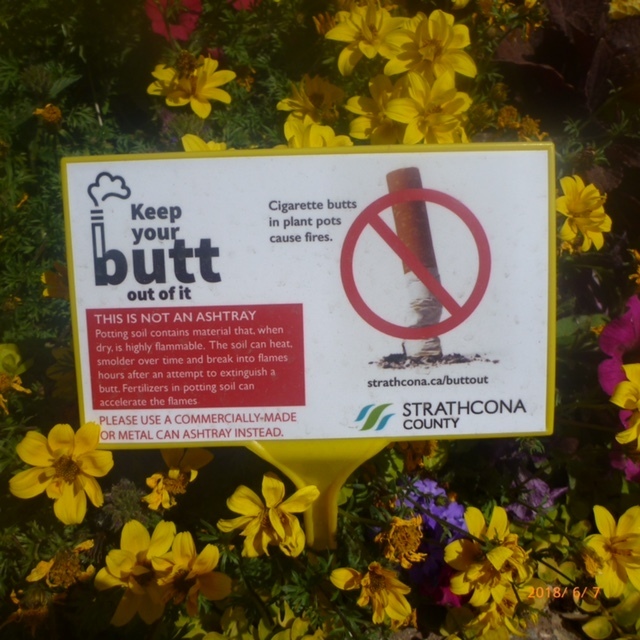 Strathcona County Emergency Services, with support of Recreation, Parks and Culture, has launched a new educational campaign about the fire risk associated with using a planter pot as an ashtray. New this year is our Community Recognition program. 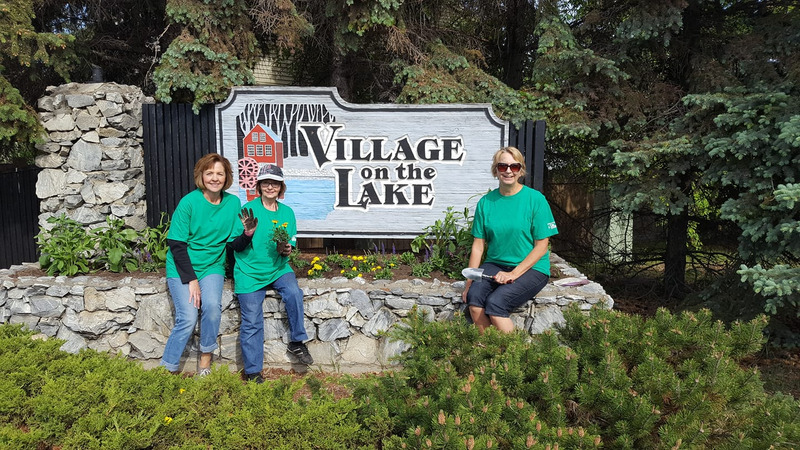 Businesses, senior residences, organizations and non-profit groups throughout Strathcona County will be recognized for their efforts to make their outdoor space beautiful. With the Front Yard Recognition program, we are limited to Sherwood Park, but this program allows us to include all the County. The Community Recognition Program will NOT be advertised in the paper. We want this to be a grassroots program and will rely on our volunteers and social media for recommendations. Plans for 2018 Communities in Bloom National Symposium on Parks and Grounds and the National and International Awards Ceremonies have been finalized. Strathcona County staff are to be commended for presenting an incredible program for attendees. The Symposium is September 26th to the 29th, and we encourage you to help make visitors feel welcome to Strathcona County. 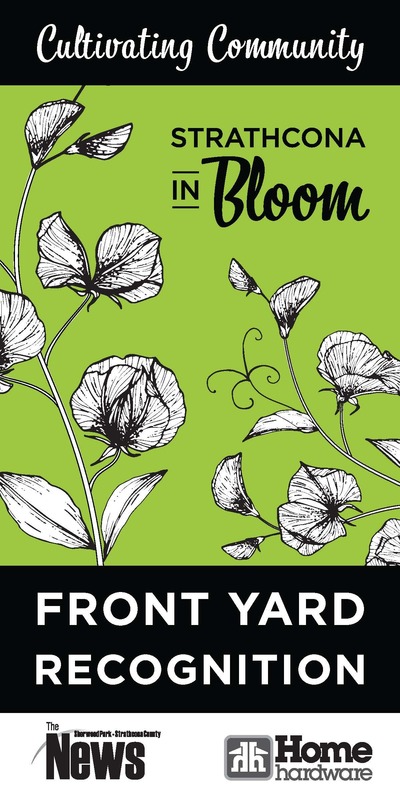 All Strathcona in Blooms’ volunteers will receive an invitation to the Town Hall Meeting, hosted by Mark Cullen. This will be held on Saturday, September 29 from 9 a.m. to 11:30 a.m. Look for the invitation. There are numerous ways you can volunteer from Wednesday (pre-conference) through Saturday. A variety of positions and times are available. If you haven’t volunteered yet and would like to, contact Amber Rudiak at amber.rudiak@strathcona.ca or 780-464-8492.